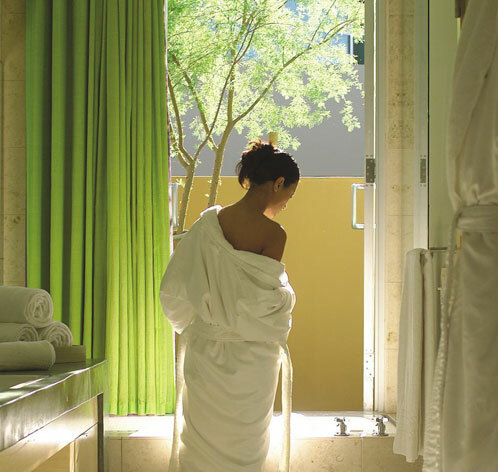 An intimate retreat, Sanctuary Spa offers a menu of Asian-inspired treatments in fourteen indoor & outdoor treatment rooms. Enhanced by modern architecture and the breathtaking setting, the Spa's relaxing meditation garden, reflecting pond and Watsu pool provide a tranquil experience. Spa services and classes in the state-of-the-art fitness center and movement studio include Pilates, meditation, Yoga, fitness & nutrition consultations, and more. And a tribute to the resort's history, Sanctuary also features 5 championship tennis courts.